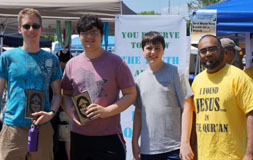 In five hours about 175 Quran Translations were distributed. 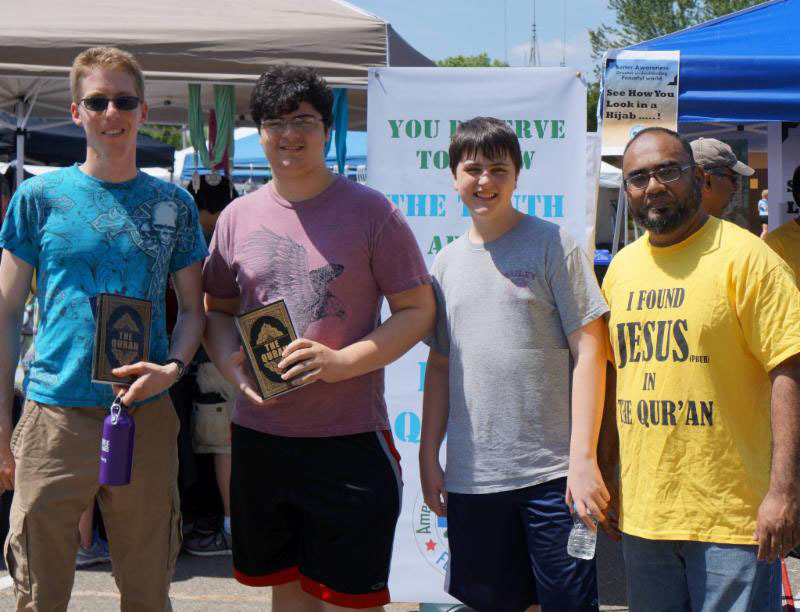 Over a hundred people came by our booth at the Festival to get free information about Islam, a free Henna Tattoo and even to try on a Hijab. 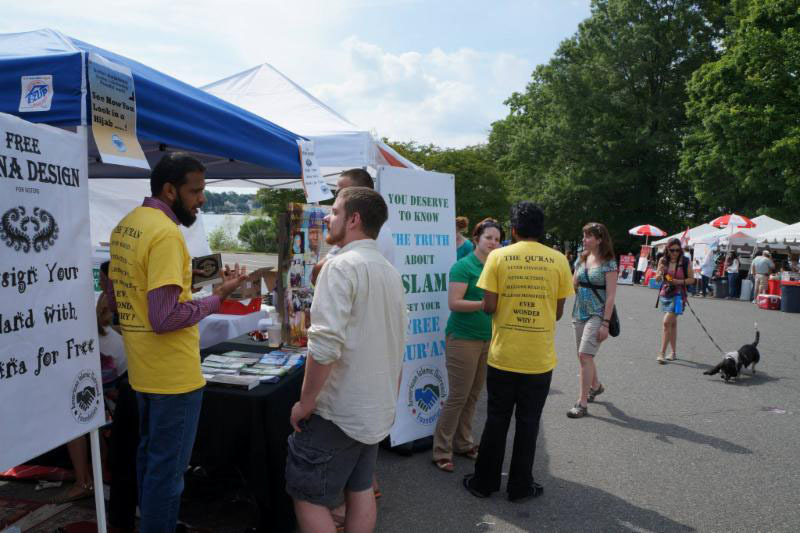 AIO was there to spread better awareness and greater understanding in all aspects of Islam. 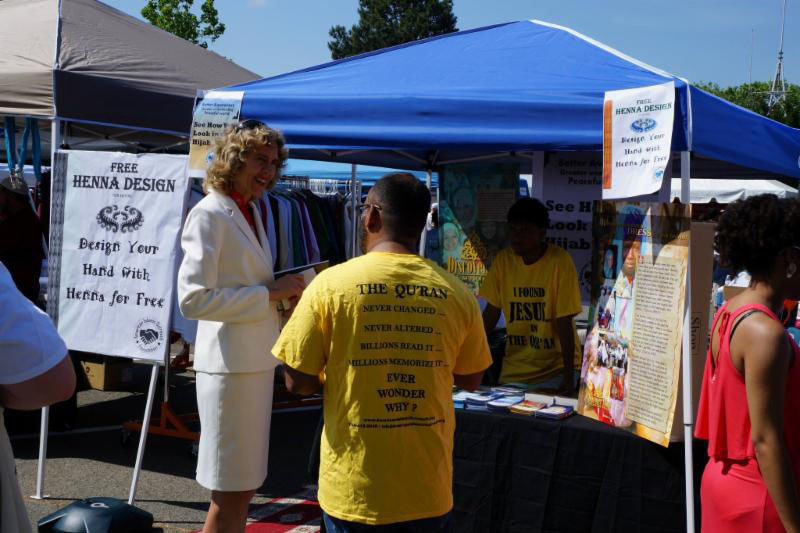 To our surprise Charlotte Mayor, Jennifer Roberts also came by and spoke to our volunteers. 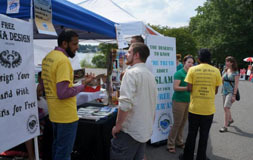 She really liked the idea of our information booth.